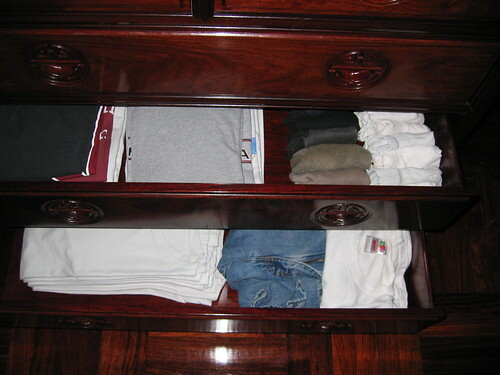 One of the cool things about having a live-in Domestic Helper is that to my surprise, I come home and my sock and t-shirt drawer is completely organized and all of my socks and t-shirts were ironed. Jean and Grace came by the office today for some lunch. We ended up at The Spaghetti House. Not very Asian. Not very Italian. And not very good. And yes, I do I have to wear a suit every day in the 90-degree, 70% humidity weather. 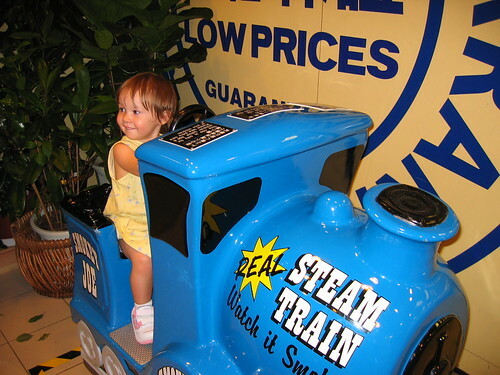 Here’s Grace on the “Real” Steam Train at the Wellcome grocery store. We stopped by here on our way back from our lunch in Stanley to get all the fixin’s for a Fathers Day Sundae. Here’s Grace and Jean hanging out in front of the HSBC Headquarters in Central. 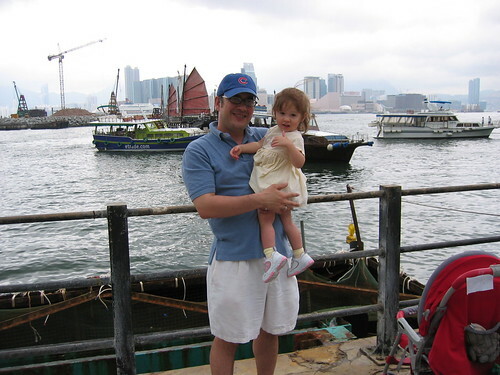 Here’s Grace and I at the Star Ferry Pier checking out the junks in Victoria Harbour. And yes, that is an etrade.com junk boat behind me. Sad. This is kind of a cool pic from my picture phone last night. This is the street scene as I am coming out of a bar in Lan Kwai Fong. Today we took Grace to the pool at our gym.